DarkForest Kucing. 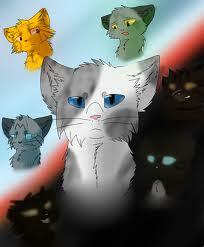 (ONLY ONE OF THESE ARE MINE) Theres Antpelt, four Breezepelts, Brokenstar, two Ivypools(even though shes good), Mapleshde, Scorchheart(mine), and Shredtail. Wallpaper and background images in the Warriors (Novel Series) club tagged: warriors darkforest omen of the stars.